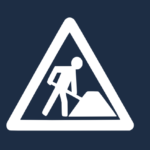 This is the bi-weekly ownCloud community update for week 40-42, from October 1st to 19. We put this together from activities on github, the mailing lists, blogs and whatever else is shared in the ownCloud community. Tips are welcome, ping Jos with your input! 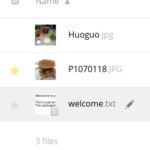 Biggest items last week were the work in and around app management, the integration of tag sharing in the ownCloud core, improvements in the Chat app and the Android app, performance improvements all over ownCloud and better documentation. You can read a report on the last two weeks of September here. Let’s kick off with development news. After having gone through no less than 6 iterations, tag sharing marked the latest contribution by ockham, implementing the result of a design discussion a year ago. A second big piece of work merged is the major overhaul of the app manager, getting rid of all the apps in the sidebar and improving the work flow when dealing with adding, enabling and disabling apps. This pull request was followed with more work on the updating and installation process including better handling of third party apps, catching more errors gracefully, being smarter about app versioning and preventing updates between major versions. 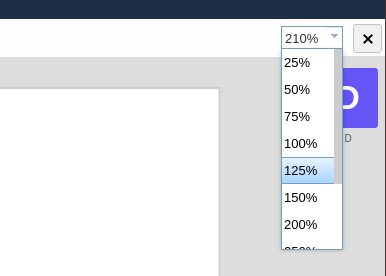 In the Documentation area, the encryption sections in the user manual and the admin manual got rewritten; adding a note about no expiration date on local shares, custom certificates are now mentioned, the user quota section was rewritten, file notifications are now covered, there was work on the filesharing section and much more, even prompting improvements to the ownCloud default configuration. Sharing improvements like introducing case-insensitive search for groups in the sharing dialog, adding a 750ms delay to the sharing menu, much faster sharing in the presence of large numbers of files and much improved handling of group shares all lead to a smoother ownCloud sharing experience. There also has been quite a bit of performance work. By using cssmin and jsmin, the ownCloud source is smaller and loads faster. Memory usage of the file scanner was decreased, work was done on using cached data to speed up dealing with permissions, a PR was merged decreasing the impact on responsiveness of preview generation and more. On apps.owncloud.com: was lots of activity again. The ownCloud development list was busy as always. Notable was the question by Christian Weiske about the app review process (which can use documentation! Anybody up for it? ), conversations about beta releases and other testing and a conversation about serving minified js/css. Our very own @janborchardt shared some great advice for open source designers at the Bono14 conference. 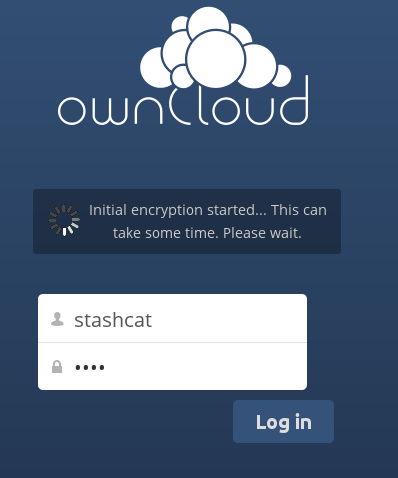 We linked to a great blog about ownCloud in a student organization, the loads and loads of pull requests which need your help in reviewing and more. 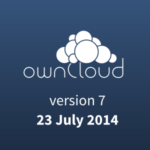 There are ownCloud events taking place! 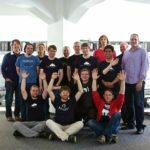 You can meet fellow ownCloud users and developers at ownCloud meetups or see us at conferences. 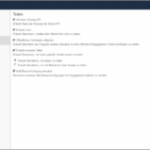 Find a calendar of ownCloud events on owncloud.org/events. We are looking for volunteers to help out organizing ownCloud attendance at the SCALE event in California and the FOSDEM event in Belgium, both February next year. Join the ownCloud events mailing list if you want to help! ownCloud meetups are a chance to learn more about ownCloud or to get coding work done. If you know of other (regular or not) meetups or are interested in organizing one yourself, check out this page on how to get involved.